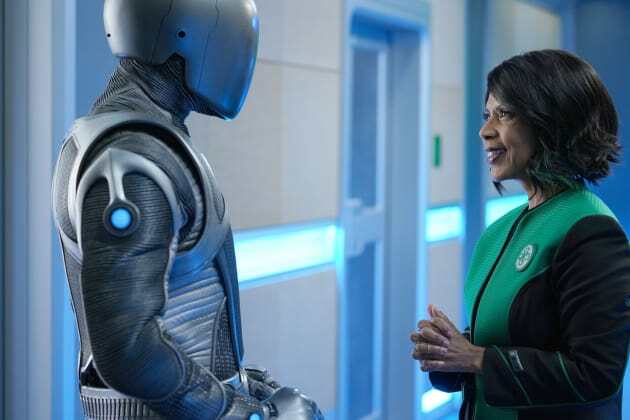 Community Blog by Boxman214 // The Orville Spoiler Space-"Ja'Loja"
Hello and welcome friends! This past year I ran a weekly blog series in which we had a spoiler space to discuss Doctor Who every week. I really enjoyed writing the blogs. It's great to have a place to discuss my favorite shows with other people. 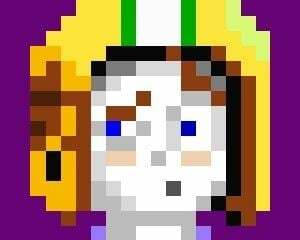 I'll actually have 1 more blog up for Who, probably tomorrow, for the New Year's Special. 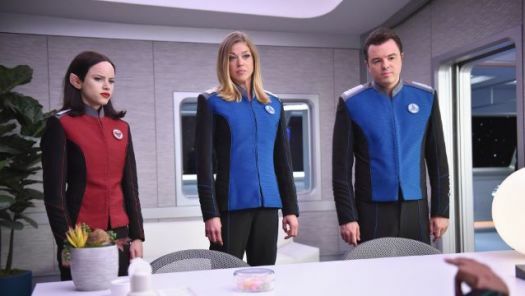 But in the mean time, here is an experiment to see if this would also work for another beloved show: The Orville. This week's episode was all about relationships. Between ex-lovers, between an ex-lover and his replacement, between mother and son, between friends, and of course, between and alien and his urine. 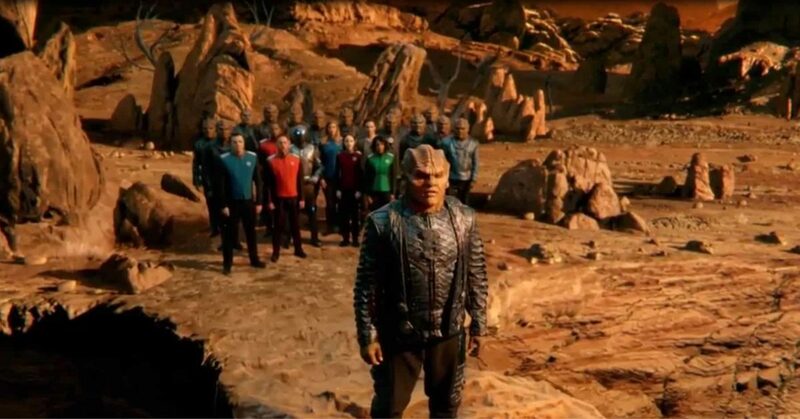 We may as well start with Bortus. I really like Bortus. He's sort of the Worf of this show. Very straight-laced. Has a big, funny head. So far, of all the aliens on the show (except maybe the Krill), his species is the most fleshed out at this point. The Moclan race is really interesting for a few reasons. One is highlighted today. They only pee once per year. It's such a grand occasion that it's basically a religious sacrament for them. It represents putting off the old you and emerging as a new being. It's like a "new year, new me" thing, except actually meaningful. This is just such an interesting concept to me. And it leads to many other questions. Do they poop the rest of the year? Do they sweat, cry, sneeze, etc? Do they not consume water? Or at least, at the same rate humans do? It's just wild that they store it up for so long. Where does the other liquid go? We may as well mention this hottie now. She is Lt. Tyler according to IMDB (I couldn't remember her name), a new Dark Matter Cartographer (which is the spiffiest job title I've ever heard). She isn't given much to do here, but I am very interested to see where they take her. I read a rumor online (and confirmed with IMDB) that this actress also played a Krill last season. So, that person's theory is that she is a Krill spy, just like how the Captain went undercover on a Krill ship last year. That could be a really interesting twist. Or perhaps they just loved the actress and wanted to bring her back. Who knows? I wonder if she's going to totally replace Alara. I don't know if any of you have read the rumors, but supposedly she is getting written out of the show. The actress, Halston Sage, supposedly dated Seth McFarlane briefly last year and it didn't end well. I don't know if that's true. I don't know if she's quitting or getting canned. Or if there are other factors we don't know about. At any rate, I rather like Alara and would prefer that she stick around. Guess we'll see! Isaac is a real standout on this show, and he does well here. His relationship with Dr. Claire and her kids is really fun to watch. I recently read him described as her "platonic life partner," which is fine by me. I will say I wasn't enthralled by the plot with her son Marcus and his loser friend, but that's alright. It wasn't painful or anything, I just didn't find it captivating. I couldn't find a picture online of Gordon's many-zippered jacket, unfortunately. But it's glorious. I liked his whole plot this episode. I could have easily spent another 5+ minutes watching him improvise on the girl in the bar simulation. The best plot of the episode was between the Captain, Kelly, and Cassius (Cass-ee-us?). It's just a real thing. Whoever it was that came up with the idea of the Captain and his first officer being ex-spouses was a genius. There is just so much drama and comedy to mine from that relationship. And here, both the Captain and Kelly make valid points in their arguments. Of course, the Captain royally oversteps his boundaries while doing a "drive-by." That was hilarious. And I totally called it! Like 3 seconds before he appeared, I told me wife that he was going to be watching through the window (port hole? 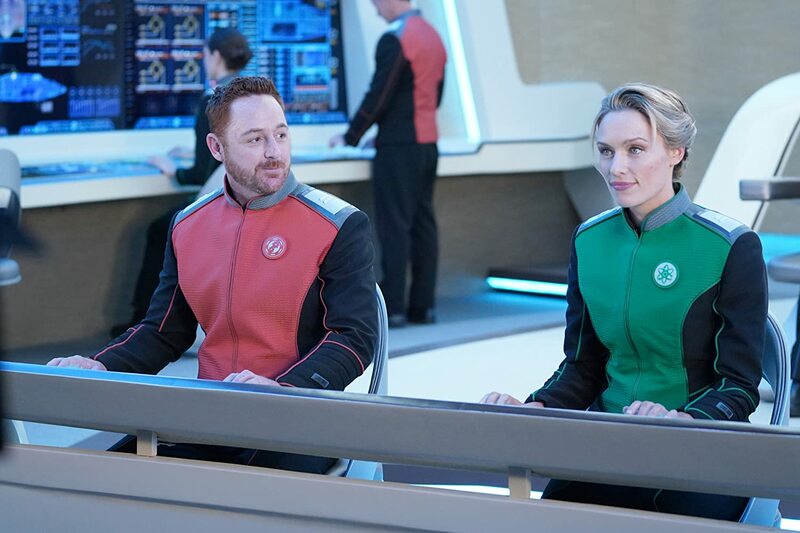 what are the windows called on the Orville?). My favorite gag of the episode was when Alara is on a date with Dann. She gets up to "go to the bathroom" or whatever it was that she said. The second she is out in the hall, he texts her to inform that he misses her. Wow, a lot happened in this episode where nothing really happened. Strange how that works. One last thing to mention. I didn't catch this at all during my viewing. But do you know who plays the bartender? 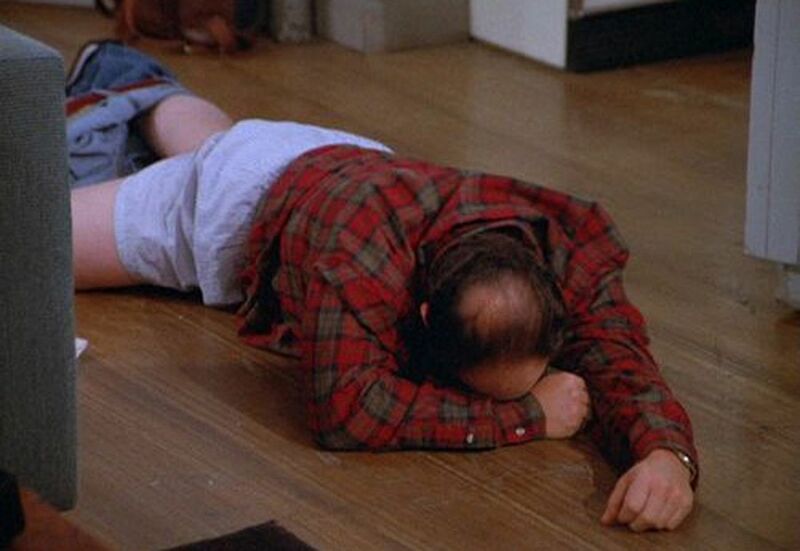 George Costanza! So there you have some of my thoughts on the episode. I really enjoyed it. I love this show. I am all in. It's really thrilling, actually. I'm a huge trekkie. I grew up on TNG. But for my whole life, the universe of Star Trek has been very well defined. I totally understand the races and the politics, and the major players, etc. of that universe. But I don't with the Orville. Every episode is a new discovery for me. And I love that! But enough about me. What did you think? Share your thoughts with us below! If even a couple people read and comment, I'll do this again next week. So let me know if you'd like more.